The edition contains data from the sample survey of household budgets in Bulgaria for the 2004 - 2015 period. The publication presents the results from the survey of households and their budgets: structure of the households and their members by socio-demographic characteristics, amount of income by sources, amount of expenditure by purpose, consumption of basic food products, and caloric contents of the consumed basic foods. 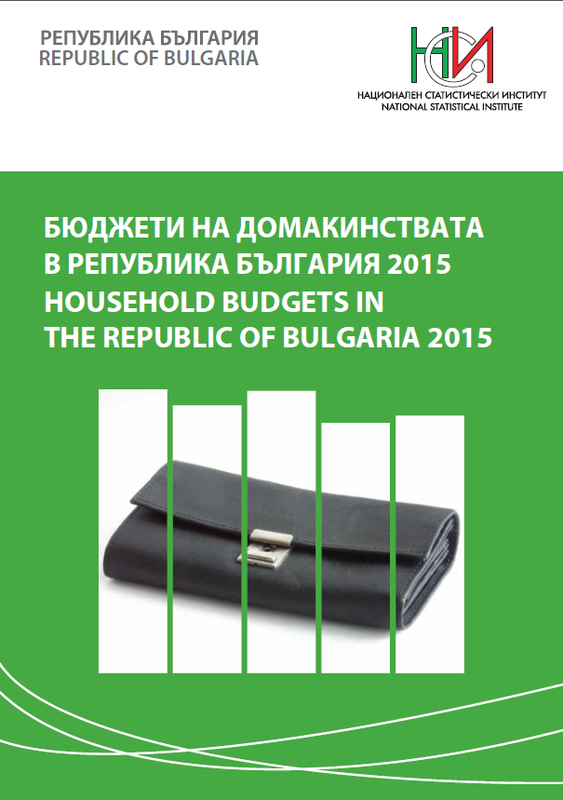 Electronic edition of the publication "Household budgets in the Republic of Bulgaria 2015"